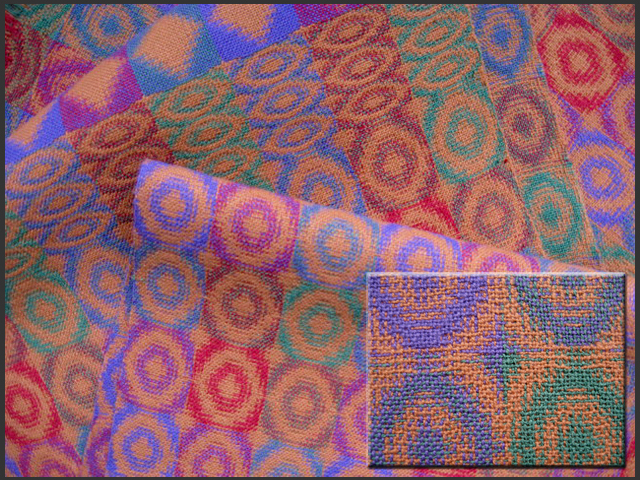 This fabric is the culmination of my recent studies and experiments in weaving patterned double weave. To read the complete post about my experience and view drafts and images of other samples too, click here. 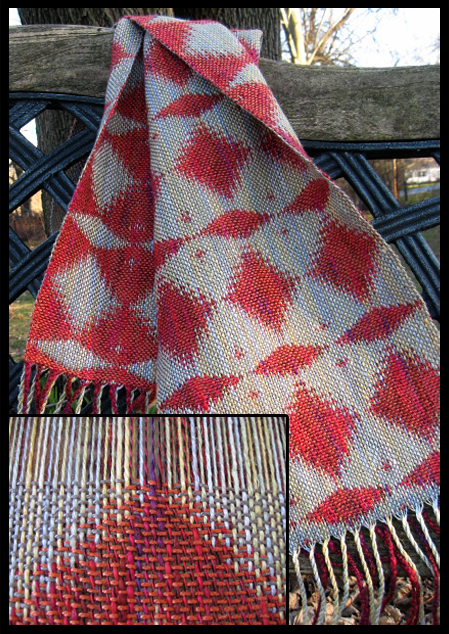 I designed and and wove this scarf with an interesting pattern that seems to fade in and out. It’s a gift for my husband, and he says it’s his favorite! 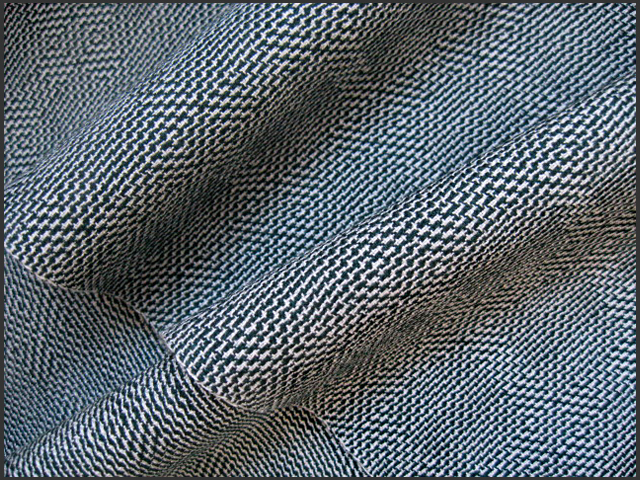 I wove two scarves with a similar pattern using the same threading and treadling but with different tie-ups: a double weave tie-up for this scarf and a twill for the other. 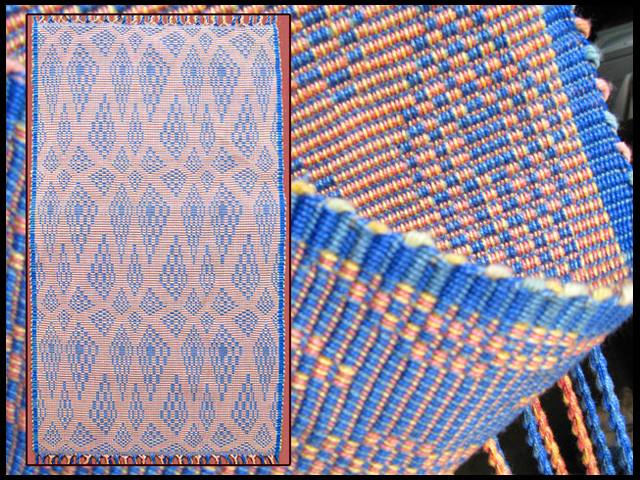 Click here to view the weaving drafts, details and notes about both scarves. I designed this 16-shaft warp rep table runner using parallel threading and treadling. To learn more about how I wove it and a set of placemats on 4 shafts, click here. 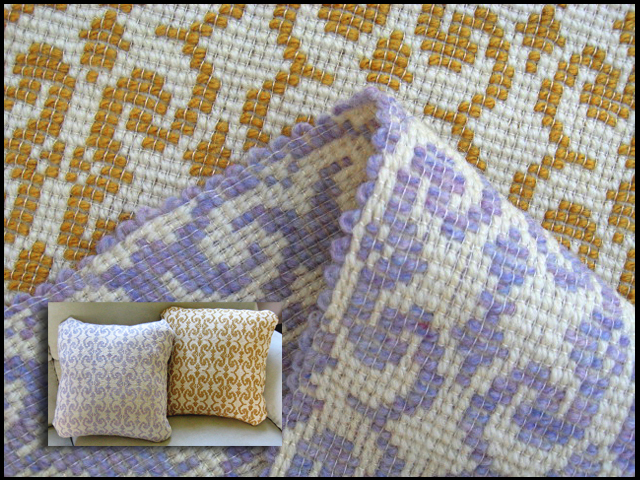 I used a variation of Diversified Plain Weave to design the pattern and weave the fabric for these pillows. I also wove a series of scarves this way. For more photos, drafts and notes about these projects, click here.